The Kia Optima is a vehicle that has been known to stick within its class of affordability for years. However, the new model takes this vehicle to an entirely new level. This mid-sized sedan perfectly incorporates sport-like style into its design. Therefore, drivers can experience the feel of a luxury, sports vehicle without the price tag. It is available with a turbo engine – making it equipped to produce a great amount of horsepower and torque. Additionally, each trim level has great fuel economy so you don’t have to make excessive trips to the gas station. If you are nearby Portland or Kingsville, TX, our dealership is only a short drive away. Visit us to find the Kia Optima that you’ve been looking for, today. There are multiple benefits to choosing a Kia Optima as your new vehicle. This mid-sized sedan is reliable, comfortable, and has a number of safety features to ensure secure driving. The new model is made with high-strength steel that helps to provide great structure and improved handling when travelling at high speeds. Also, take advantage of antilock brakes, rearview camera, and stability control as standard features on the updated Optima. Safety is something that drivers don’t have to question when driving this spacious five-passenger sedan. Kia engineers have thought of every way to ensure that drivers are secure. Check out the four trim levels in which it is available: LX, EX, SX, and SXL. (The LX features the base 2.4-liter engine and the Turbo 1.6-level engine). Stop by Mike Shaw Kia in Corpus, Christi, TX to find the Kia Optima that best suits you. Learn About the 2019 Kia Optima! For 2019, the Kia Optima comes in four separate trim levels: LX, S, EX, and SX. The base LX gains 16-inch alloy wheels, satellite radio, height-adjustable front seats, Android Auto, a driver information display, remote locking and unlocking, Bluetooth®*, a six-speaker audio system, a 7-inch touchscreen, heated mirrors, automatic headlights, Apple CarPlay, HD radio, a USB port, a tilt-and-telescoping steering wheel, cruise control, and a 60/40-split rear seat. The S trim adds push-button start, fog lights, LED taillights, a rear spoiler, and 18-inch wheels. Drivers who choose the EX will receive driver-seat memory settings, adaptive cruise control, an electronic parking brake, USB ports, illuminated door handles, power-folding mirrors, interior wood accents, keyless entry, leather upholstery, and more. The top trim – the SX – provides a rear spoiler, a larger driver information display, LED fog lights, ambient interior lighting, a flat-bottom steering wheel, LED headlights, 18-inch wheels, and more. 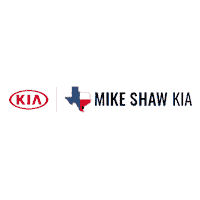 Why Choose Mike Shaw Kia in Corpus Christi? Discover the Kia Optima that you’ve been searching for at Mike Shaw Kia. We offer an extensive selection of quality vehicles to choose from. Therefore, we feel confident that we can help you find the car that you have been looking for at our dealership. Our professional staff members are dedicated to ensuring that each customer that buys from our dealership leaves satisfied. We want you to drive off in a quality vehicle that you can be proud to own. Therefore, we will listen to your needs and work with you to select the Kia Optima trim that is best. Our sales staff is knowledgeable about all Kia vehicles so you can feel confident about the information that you receive when you shop with us. Don’t settle for less than you deserve. Visit Mike Shaw Kia to purchase the Optima, today.